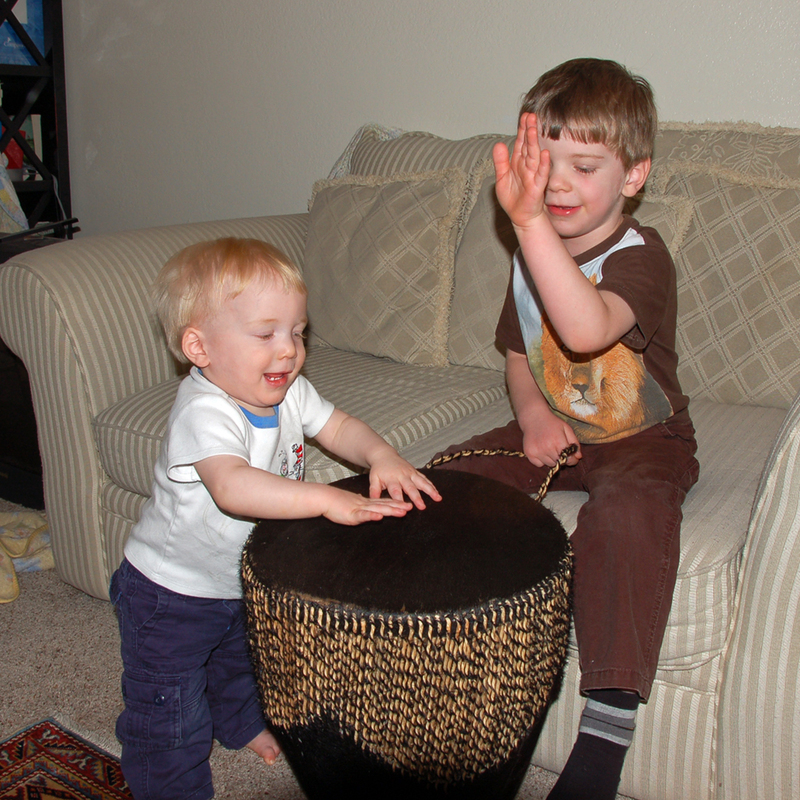 The drum that Aunt Allison brought us from Africa hasn't seen a lot of use other than as a hole blocker for a crawling Noah. But we pulled it out the other night and they both had a ball! Mama on the other hand managed to injure her wrist by drumming too hard or something. Yes, I am a pro at injuring myself, ask any of my high school friends!